Someone asked what a bobbin lace pattern looks like. 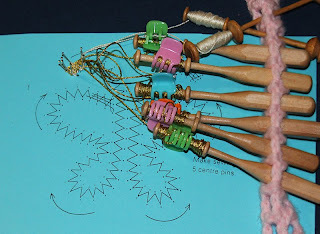 each pattern has a pricking, printed on (usually) blue cardstock and pinned to the lace pillow, that shows the placement of pins and direction of work; and the "directions" - a term I use very loosely. 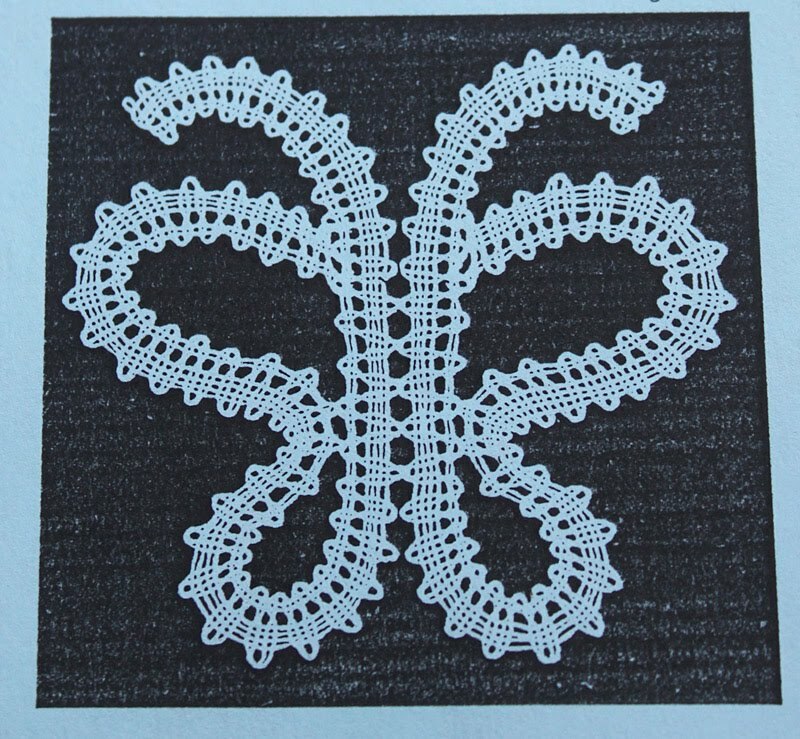 For Naia's butterfly lace piece, the entire directions look like this - Helpful, yes? 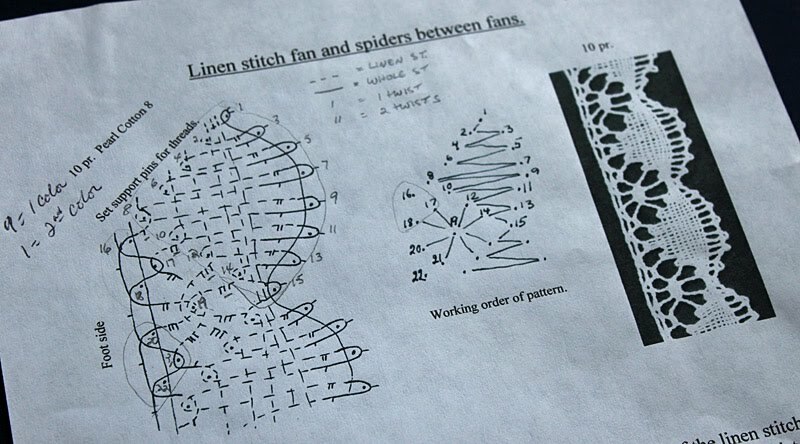 Here's the pattern for my fan and spider lace - It does have some written instructions, but for the most part they say 'follow the diagram'. The scary part is that, with a little instruction when I started this piece, I almost understand what I'm supposed to do. With lots and lots of unlacing when things don't go the way I almost thought they should. 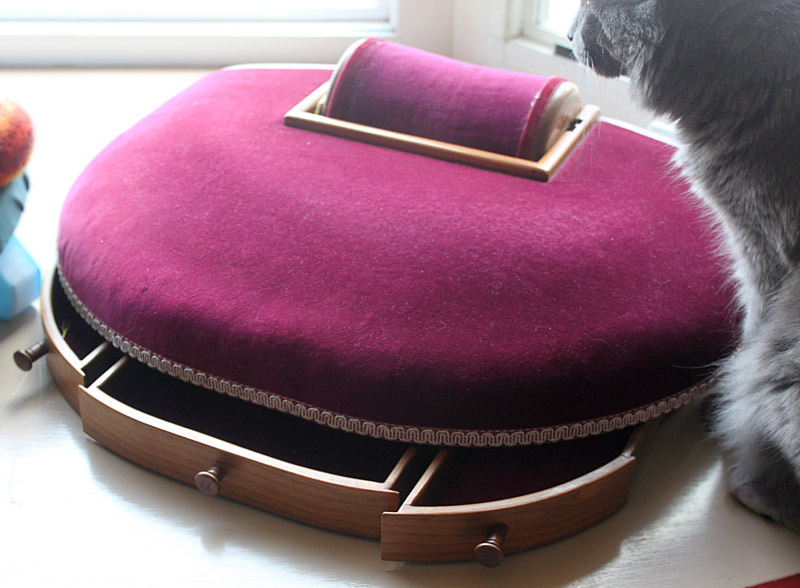 The latest additions to the pillow collection - a roller pillow by Simon Toustou of Canada, in burgundy and walnut, with three nice deep drawers. 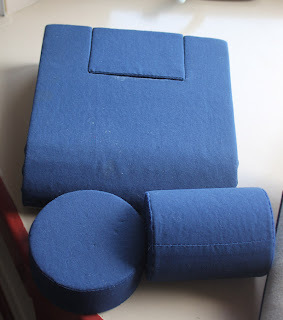 And a small travel pillow with interchangeable block, roller and circle for working different types of lace. 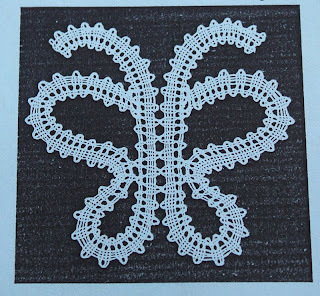 I bought this one for Naia, but it's too small for her to work on comfortably. Hope she's happier with the cookie pillow I ordered for her last night. I have seen these patterns before...thought it was a joke. 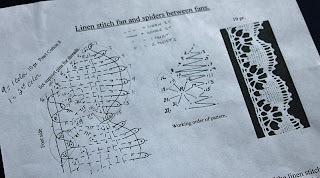 OMG, that is a real pattern?? I am doubly impressed that you & Naia understand!